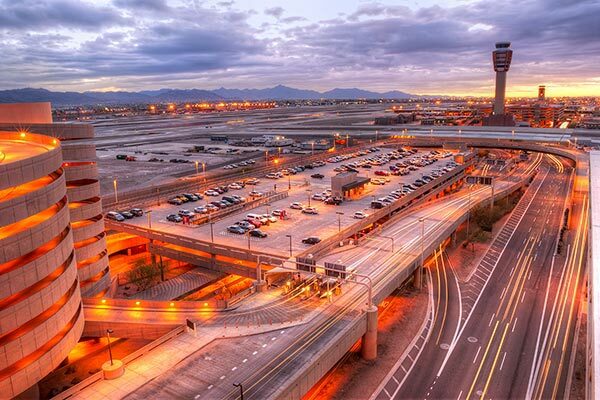 Known as the Valley of the Sun, the Phoenix metropolitan area is home to nearly five million people. To match this large and diverse population is a vibrant and prosperous economy, built on some of the most advanced industries in the United States. ExpeditedFreight.com supplies all of these industries with everything they need to continue thriving and advancing. 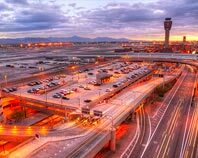 Operating in Phoenix proper and the entire Valley, we make sure that this region's many thriving industries are able to build on their success. ExpeditedFreight.com takes the time to understand the logistical needs of each community we serve, and Phoenix is no exception. As a center of technological development and advanced manufacturing, the Phoenix area relies on a wide range of key parts for economic success. For example, the city of Casa Grande, located immediately to the east of Phoenix, recently won a bid to become the site of a Lucid Motors electric car factory. This is bringing valuable wealth and attention to the Valley of the Sun. But it also threatens local logistics networks, as electric car producers rely on a whole host of delicate and rare parts that need to be delivered from distant regions. Carriers will have their work cut out for them delivering these parts without damaging them, especially if they want to keep to manufacturers’ tight schedules. ExpeditedFreight.com has the expertise and resources to deliver the most delicate parts safely and on tight deadlines. Swift Deliveries - ExpeditedFreight.com delivers well within your deadline, ensuring that you never have to wait for parts or expect your customer to wait for your finished products. We map every route into or our of the Phoenix area, selecting the one that is the most direct with the fewest delays. We also take advantage of a vast shipping network, which lets us load your goods and head for the destination in a matter of hours. Through these and other precautions, we achieve the swiftest deliveries for every variety of cargo. Safe Solutions - In delivering quickly, ExpeditedFreight.com is careful not to cause inventory damage. We take advantage of the most advanced storage equipment, which will keep highly delicate parts and supplies safe on deliveries of any length. Our drivers are also required to take turns sleeping so that they’re rested enough to complete the delivery safely. Quality Service - While we’re delivering your supplies or finished goods, ExpeditedFreight.com is careful not to leave you in the dark. We’ll answer your call at any time, providing you with location data, estimated arrival times, and any other information you need. If you aren’t currently one of our customers, you can ask for free quotes on future deliveries. We’re available to answer these questions 24 hours a day, 365 days a year. To learn more about expedited shipping services from ExpeditedFreight.com or schedule your next delivery, visit our website today or give us a call at (623) 252-0101.